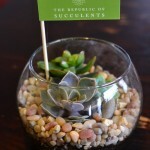 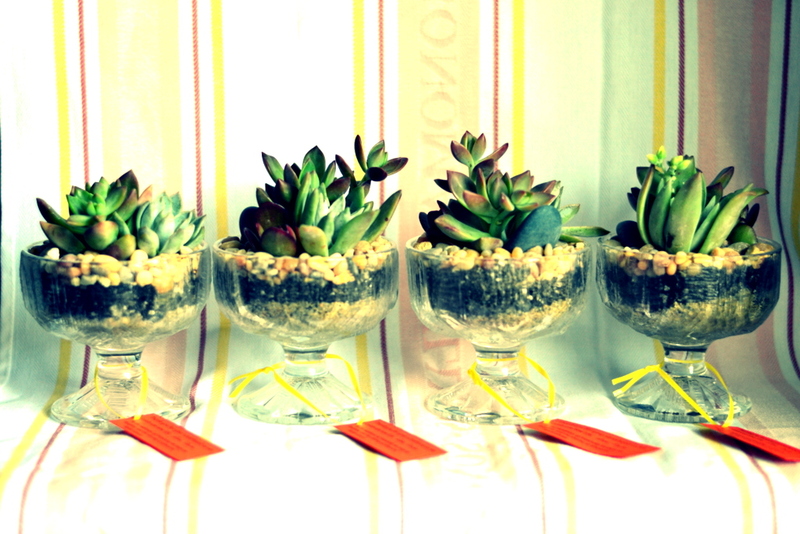 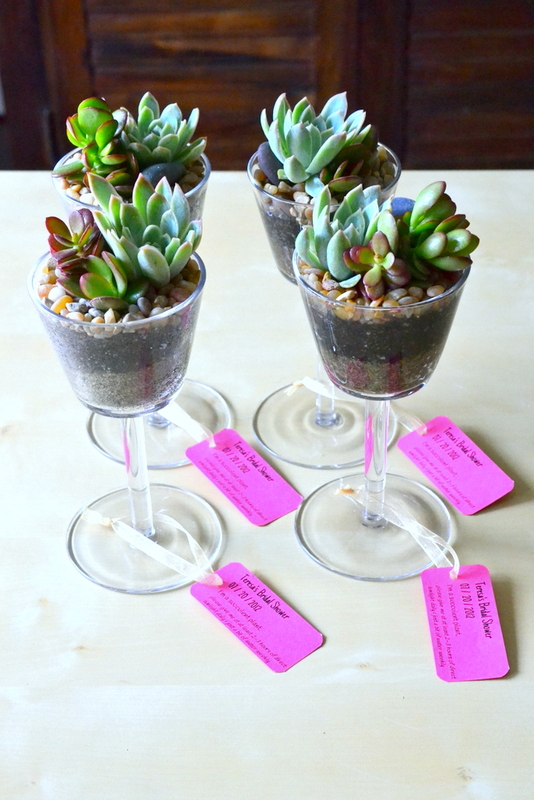 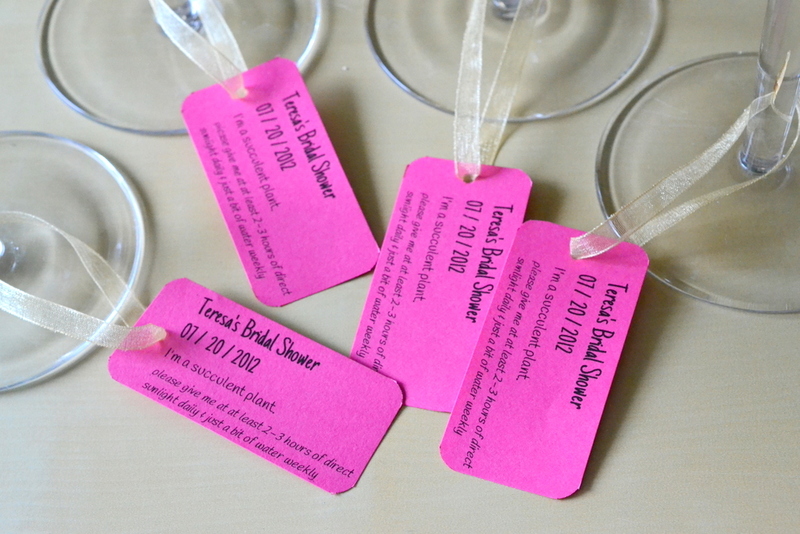 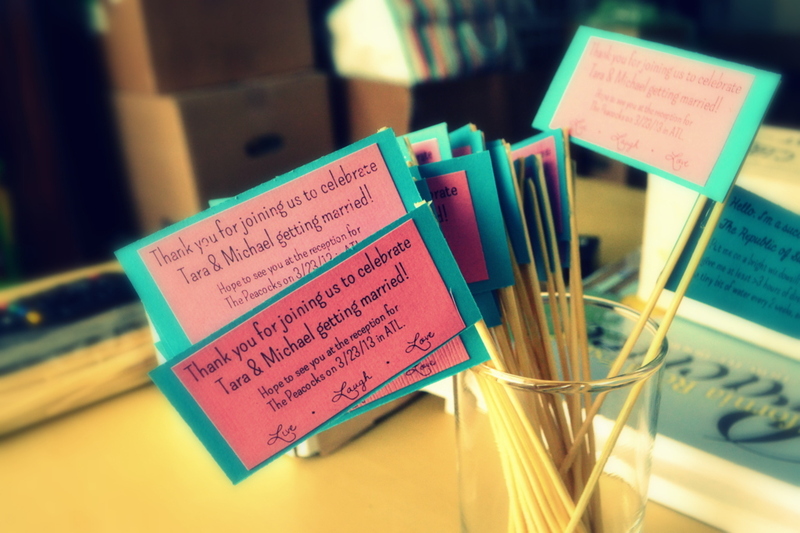 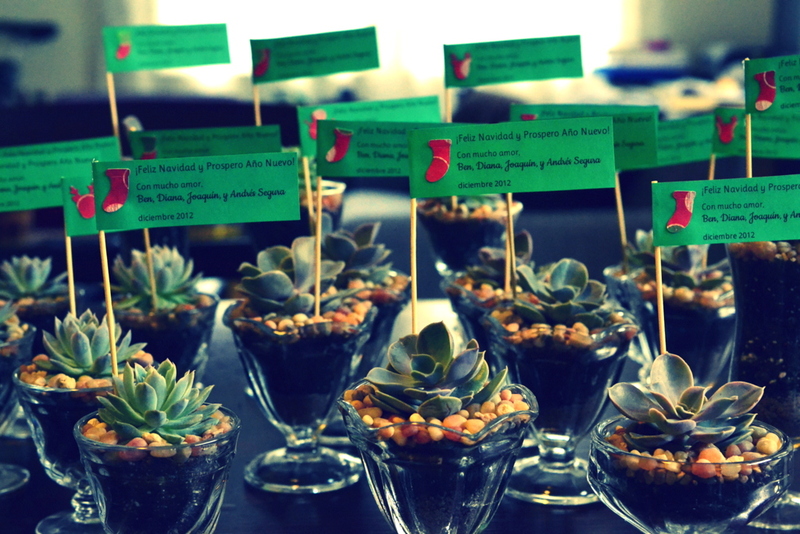 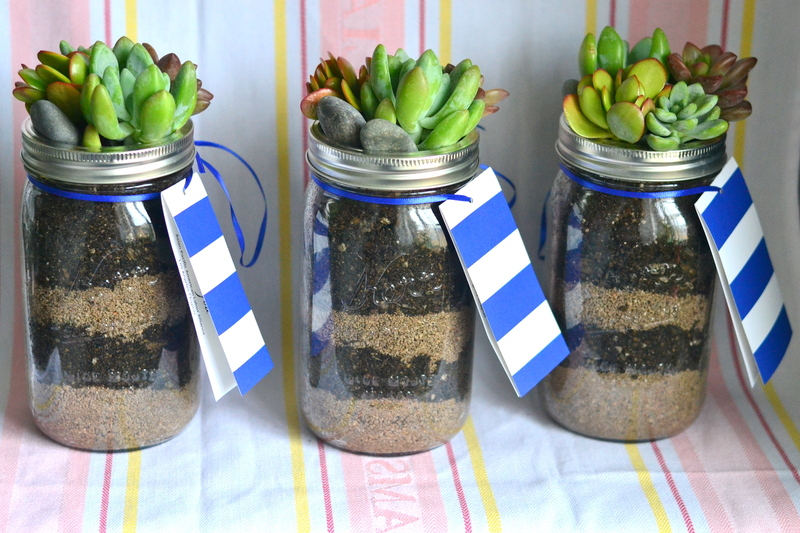 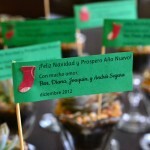 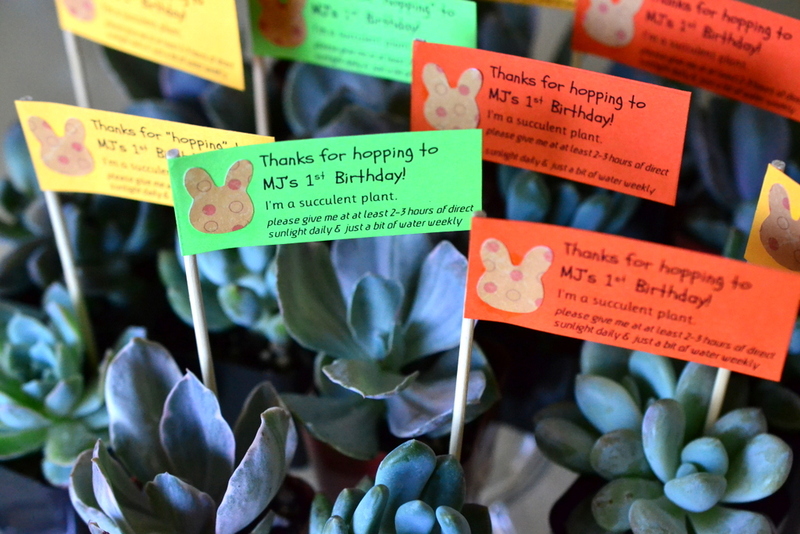 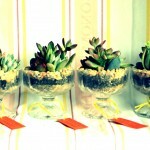 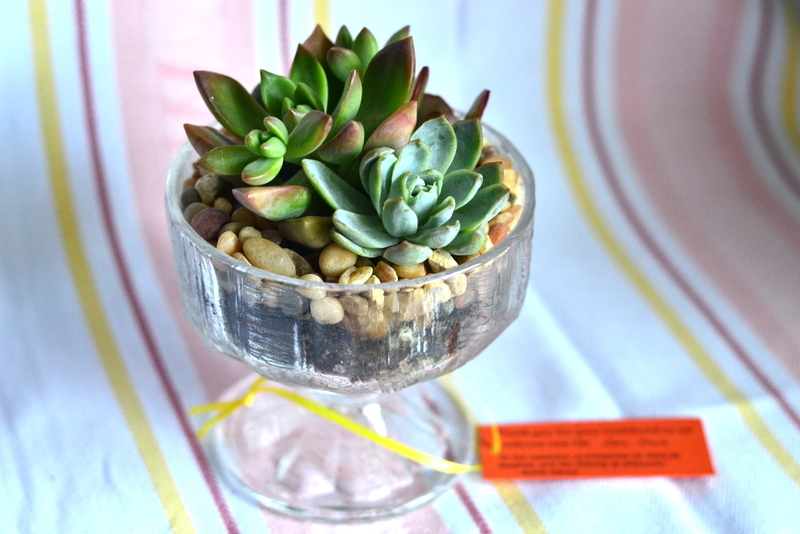 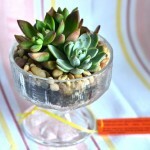 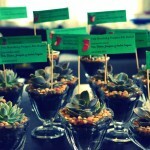 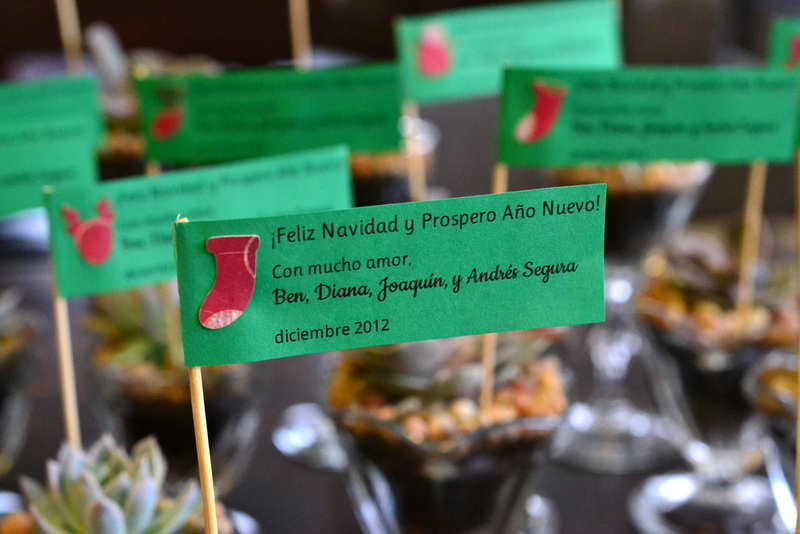 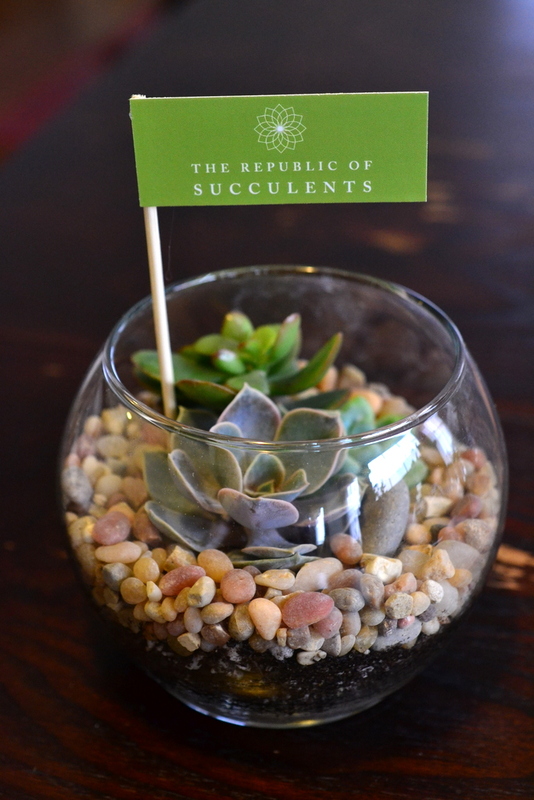 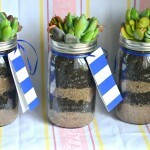 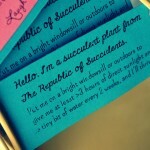 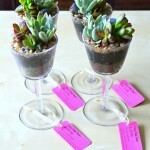 For party favors and larger orders, we can create custom tags with your sweet message on each, plus a note about succulent care so your guests can enjoy the plant for a long time. 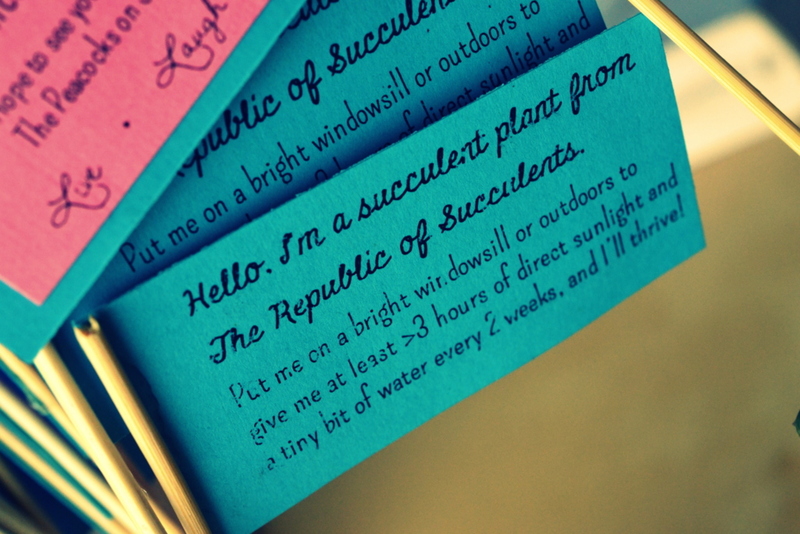 You can choose the paper color. 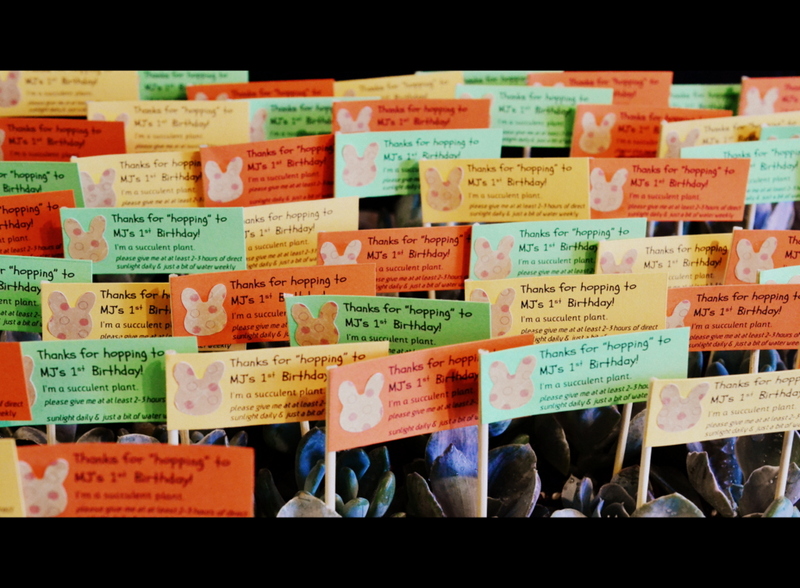 If we have it, we can do a custom cut out/icon as well. 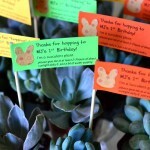 Tags are affixed to plants with a bamboo stick or ribbon. 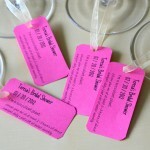 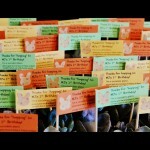 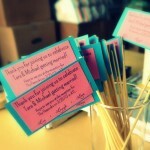 Here’s a sampling of tags for our clients.